Hardware store tycoon and automotive entrepreneur Malcolm Bricklin became the first to import Subarus to the US when he founded Subaru America in 1968. Although the brand was popular in Japan, Bricklin was not able to sell many after a 1970 Consumer Reports article rated the vehicle “Not Acceptable”. Bricklin, therefore, created a national racetrack franchise he called FasTrack to sell the approximately 10,000 cars in stock. 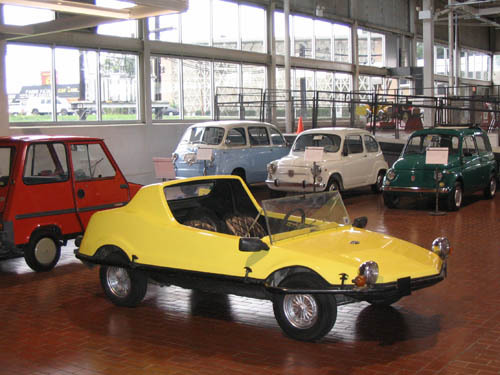 The idea, which used the vehicles like go-karts, cost $25,000 and included 10 modified Subaru 360’s- each with a new custom body, 20 helmets and uniforms, lighting, and plans for a racetrack. 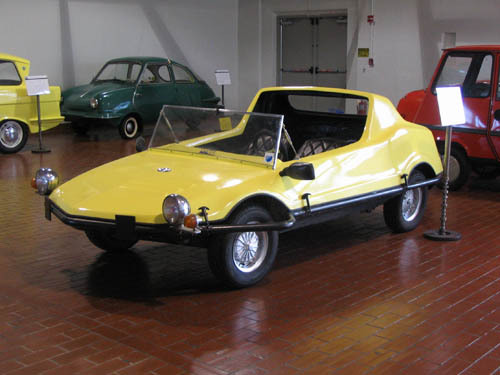 The new bodies, plastic and harder to damage, were designed by Bruce Meyers (who later designed and built the Meyers Manx Dune Buggy). Bricklin also proposed a spin-off idea called FasTrack Leisure Land, a chain of resort hotels with go-kart racing. 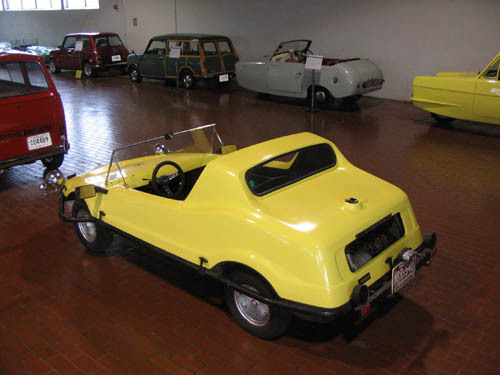 In 1971, Bricklin decided to leave Subaru of America and but remained the owner of FasTrack. Briklen managed to sell a few FasTrack franchises; however, in 1974 he was sued for breach of contract and ordered to pay $2.39 million to his business partner after borrowing large sums of money against FasTrack property and investing it in other projects. The Fastrack II seen here is the only one that is street legal, it belonged to Ed Parsil for 15 years before he generously agreed to sell it to the Museum.